President Kina Mallard (far right) of Reinhardt University in Waleska, GA, honored the Lady Eagles Soccer team by giving each player a signed copy of LIONS. 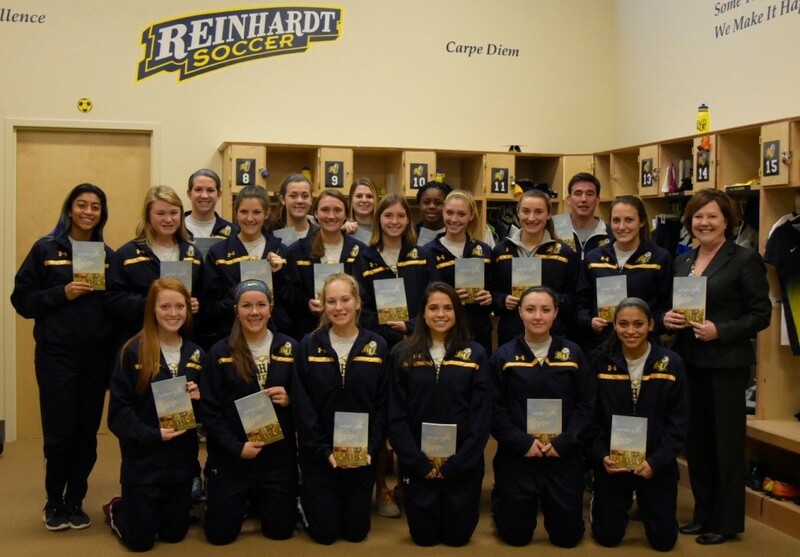 What a fantastic way to celebrate their undefeated season and team GPA of 3.25! Can’t wait to hear what the Eagles think of the Lions! Thanks, Dr. Mallard, for supporting women’s sports and their stories. Congrats, Eagles!